Professor Littell is the co-creator of the Retirement Income Certified Professional® (RICP®) designation at The American College of Financial Services and coordinates the design, development, and ongoing improvement of the three-course curriculum: HS 353: Retirement Income Process, Strategies, and Solutions; HS 354: Sources of Retirement Income; and HS 355: Managing the Retirement Income Plan. He also co-authored GS 808: Selected Issues in Retirement Planning in The College’s Master of Science in Financial Services (MSFS) program and DP 1600: Seminar in Aging in The College’s PhD in Financial and Retirement Planning program. 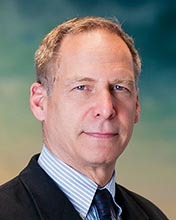 As former Co-Director of The American College New York Life Center for Retirement Income, he coordinated the Center’s website that contains more than 300 educational videos, promoted the RICP® designation to improve professionalism in the industry, helped design original research projects on retirement income planning topics, and interacted with media to promote industry and consumer articles on retirement income planning. A native of Chicago, Professor Littell holds a BA degree in psychology from Northwestern University and earned a JD at the Boston University School of Law. Professor Littell, who resides in Ardmore, Pennsylvania, is an avid tennis player and fencer. He was a member of the 1988 U.S. Olympic Fencing Team and was a fencing coach at Haverford College from 1999 to 2006.